The Playground is an enormous, multi-level indoor play place for children that was brand new and entering a very crowded market. They needed to announce their opening, and create top-of-mind awareness, so families in the area would develop the habit of popping in. With a new business, every client is a new client. 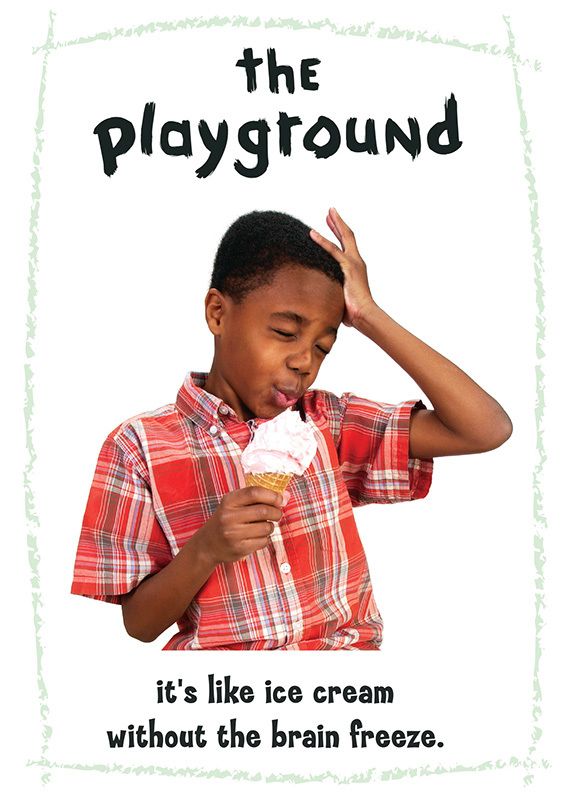 The Playground needed to attract customers and inform them of their offerings, and then needed to build recognition in the market until they had developed a loyal following. 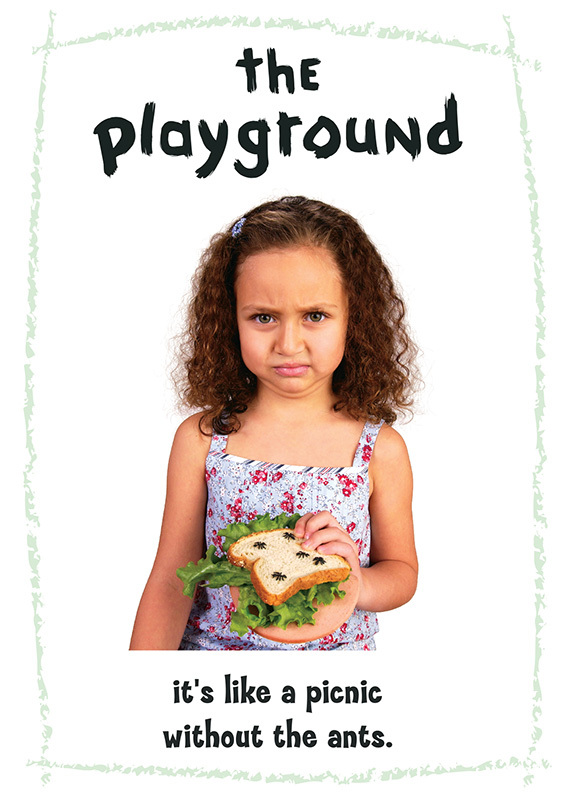 A monthly series of direct marketing pieces was designed by Summa Creative to introduce families to their facilities. 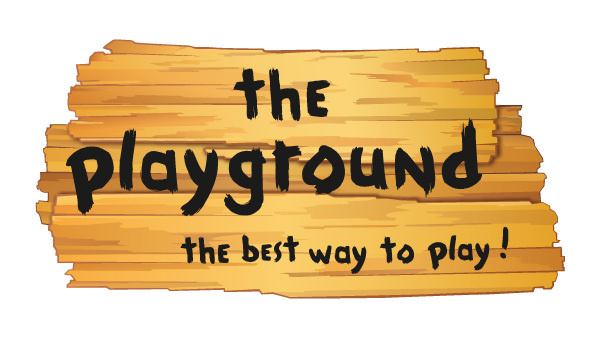 It was essential that each communication convey the belief that separated the Playground so sharply from the competition - the importance of creativity in play. This was not ready-made, passive entertainment and video games. Rather, it was a safe place where kids were given access to materials to play and create. Just as the entire brand reflected the creations of a child, the advertising campaign needed to be presented from a child’s perspective. However, the appeal needed to be geared toward the parent, emphasizing all the best attributes of play without any of the drawbacks. The first job of any piece of mail is to get opened and read. We opted for a postcard format, to ensure that the teaser text and humorous image would be immediately visible. 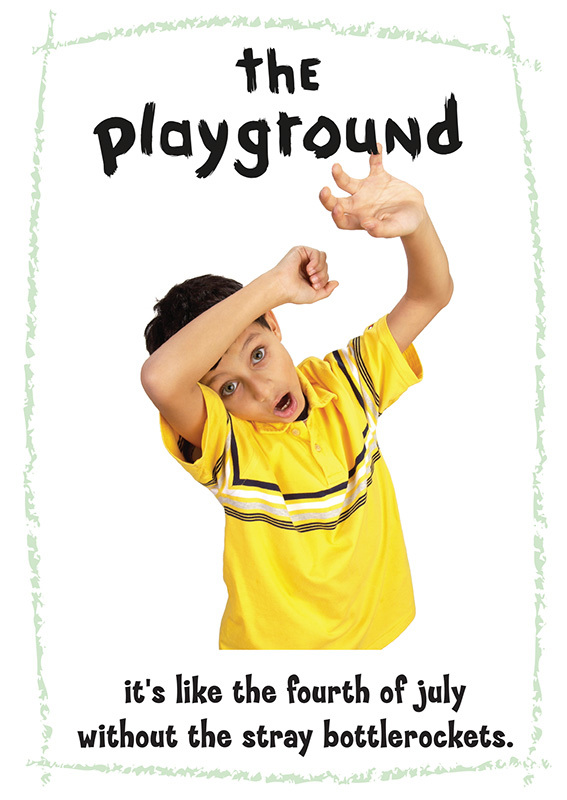 This benefitted the campaign in two ways - it created a curiosity about the comic image for those who were not aware of the playground, and later in the campaign, it created expectation for those who recognized the venue, and were eager to see the next month’s card. 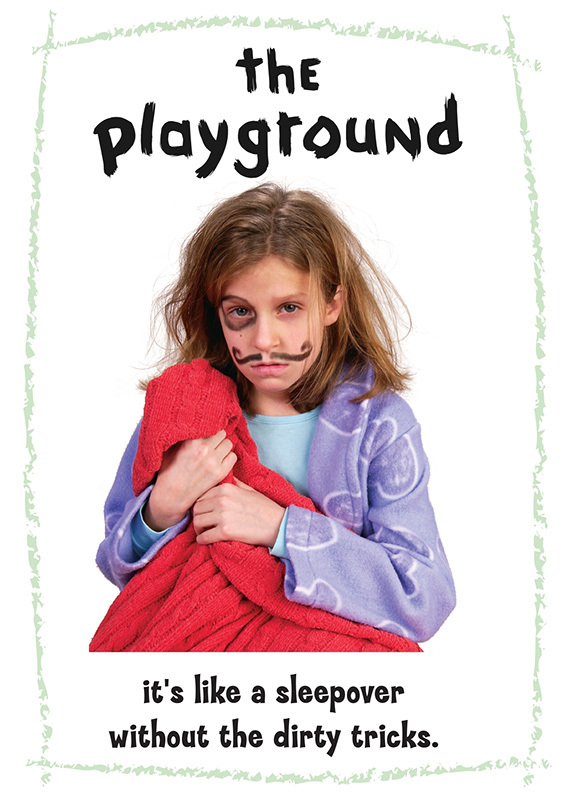 The campaign attracted enormous attention for the Playground. The appeal on the back of the card to bring it in for a savings off the admission price was particularly effective. Families held on to the postcard even if they didn’t use the offer, sticking it on the fridge and creating a reminder of the company. 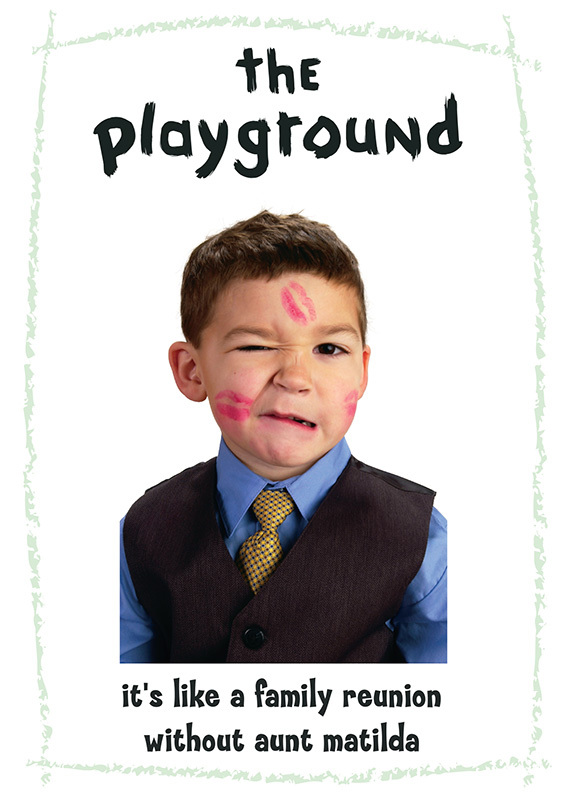 It also allowed the Playground to tally the redeemed postcards and figure their ROI for the campaign.